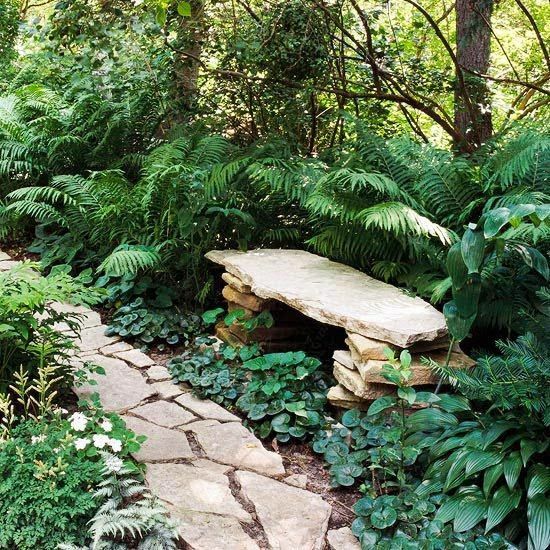 Adding natural stone seating to your garden can look wonderful and keep your garden space looking beautifully natural. The beauty of stone is that it will never rot, you just need to manage the moss and the foliage surrounding it. You can update it in the summer with new cushion covers and in the winter it will go back to being a part of the environment, the more subtle the better in my opinion. 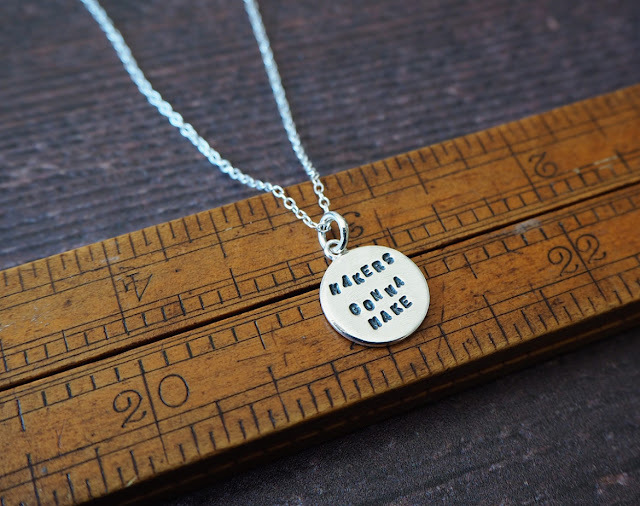 I've created a Pinterest board full of ideas which is embedded below and I'll add to them as I find more - so do please follow my board. 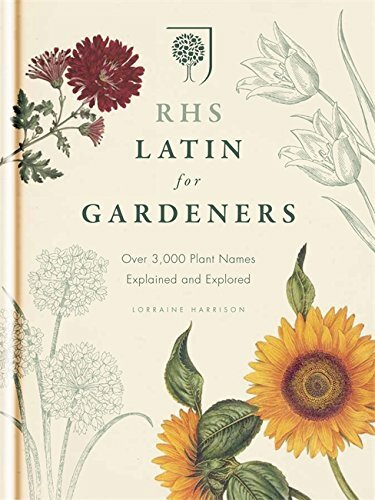 These three are my favourites... a few ideas for adding natural garden seating areas, informal garden seating that won't jar with your planting and the natural look of your garden. The main difficulty is moving the large slabs of rock and stone. I absolutely love this stone garden chair! 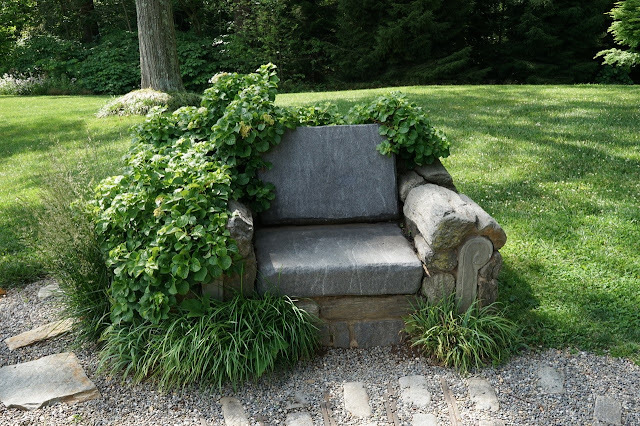 I can't find the creator of this chair, but it looks as if it's been made from concrete and natural stone, the seat and back look just like cushions you'd find in any living room, a really fun idea and a great focus for the garden. 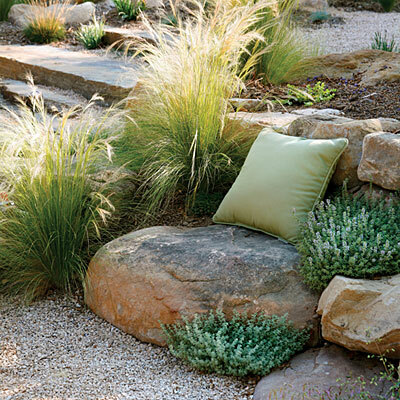 Simple stone seat - this blends in beautifully with those wild looking ferns. 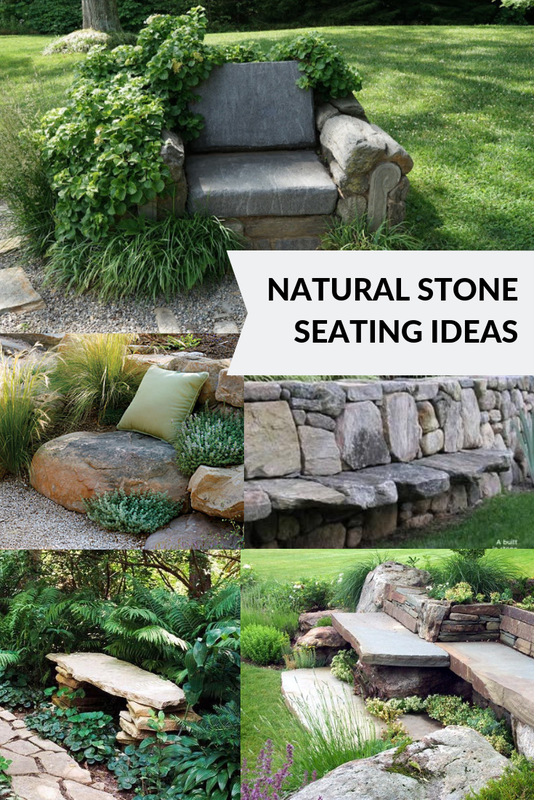 Head over to my natural stone seating ideas Pinterest board for more ideas.